Loosely based on the famous tragedy, Romeo x Juliet spins a fantastical story of star-crossed lovers in a land ruled by a tyrant. The sheltered, naive son of the tyrant meets a masked hero of justice, and a tragic tale of prophecy, rebellion, magic, and true love begins. It should be clear from the name alone that our protagonists face doom, but their romance is beautiful and well-developed throughout the story. With a great cast of supporting characters inspired by many of Shakespeare's works, a lovely soundtrack, and a fantastical setting....this is one epic love-story that is worth watching. This the first anime I've ever seen. I first watched it when I was about 14, and I was not the same after watching it. I think I probably just went around every where with a blank expression on my face in a good way I mean. I never saw anything like it before, at the same time it was a tell I knew from since I was really little. It completly blew my mind! So I'm always looking for new anime to watch since I'm normally running out of something to watch and I stumbled on this one. I'm never opposed to a little romance mixed into a story line and this did it really well. It wasn't overly lovey dovey and it wasn't just action. It was well balanced. Nice character development and characters that you enjoyed watching to see how they changed. I have to say, this was very different from what I was expecting. I honestly kind of hate this play. However this anime, put things in a different light. It starts off, with extreme differences making you accept what you're about to watch is a very different rendition of what you're used to. That is what got me watching further in the first place. I loved the beginning and the depth of character put into both of them and the others around them. It added a lot more definition to some of the more, unknown roles or taken for granted like Benvolio and Tybalt. The added addition of the playwright himself was also a nice twist. The story is engaging, in the beginning and I can't really put it down because the story of R&J is supposed to be romance but that was my only annoyance was how long it was dragged out before the ending came into form. The ending however, completely threw me and that's why I give it 5 starts for its ingenuity. I would recommend this anime if you're someone who likes the development of characters in slow progression. 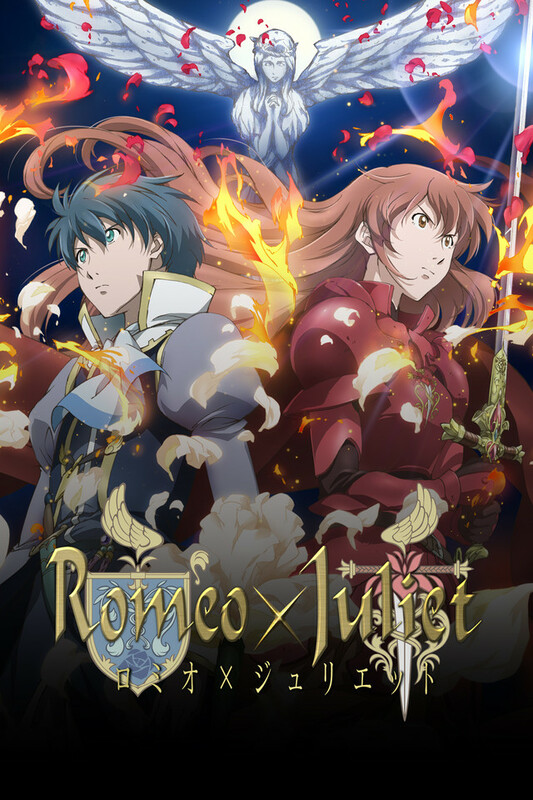 Romeo x Juliet is a great romance anime. It has a rather slow start to it and takes at least a few episodes to really start to feel with the characters. The animations are well done and consistent throughout. I really enjoyed watching it and it was top-notch quality. Would highly recommend if you enjoy heterosexual romance, mild-moderate action/combat, and socio-poltical drama. good very good too good. good very good too good.good very good too good.good very good too good.good very good too good.good very good too good.good very good too good.good very good too good.good very good too good.good very good too good.good very good too good.good very good too good.good very good too good.good very good too good.good very good too good.good very good too good.good very good too good.good very good too good.good very good too good.good very good too good.good very good too good.good very good too good.good very good too good.good very good too good.good very good too good.good very good too good.good very good too good.good very good too good.good very good too good.good very good too good.good very good too good.good very good too good.good very good too good.good very good too good.good very good too good.good very good too good.good very good too good.good very good too good.good very good too good.good very good too good.good very good too good.good very good too good.good very good too good.good very good too good.good very good too good.good very good too good.good very good too good.good very good too good. Member 2 - Rated 3 out of 5 stars. Member 3 - Rated 3 out of 5 stars. Member 4 - Rated 3 out of 5 stars. Member 5 - Rated 5 out of 5 stars.